(ThyBlackMan.com) How black should the Congressional Black Caucus be? That might seem like a strange question, but it’s one the CBC has grappled with throughout its 40-year history. 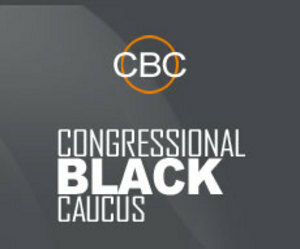 White Members of Congress have occasionally tried to join, but the group has remained firm: The CBC is for blacks only. Many of its members say the concept of an all-black organization devoted to looking out for the needs of black America isn’t yet an antiquated one. The Michigan Democrat, like many other CBC members, believes race is still a divisive issue. “I’ve never gotten too excited about this post-racial climate we’re in,” he says. But the organization is now considering reinstating a membership category, established in 1988 and ended a few years later, that would permit non-blacks to join. CBC Chairman Rep. Emanuel Cleaver says the caucus is split over the issue. In 2007, Rep. Steve Cohen sought membership in the CBC. The Tennessee Democrat’s district is majority black, and the then-freshman described his desire to join as a wish to align himself with the group’s goals and better serve his constituents. The CBC gave him a polite but firm no. Even though the bloodiest chapters of the civil rights struggle belonged to the previous century and a former CBC member was the president, many members felt that the caucus should remain an all-black organization. Still, some argue that white members who consistently vote in the interests of black America have just as much a case to be part of the CBC as black members with weaker voting records on African-American issues. Cohen, for example, got a 98 percent rating last Congress from the NAACP. Then-Rep. Artur Davis (D-Ala.), a CBC member at the time, only scored 75 percent. And some within the caucus see no problem with admitting white members. Rep. John Lewis recalls that in the civil rights movement of the 1950s and ’60s, whites and blacks fought discrimination shoulder to shoulder. Whites are free to join the NAACP, he notes, and the Student Nonviolent Coordinating Committee, the civil rights group he led in the ’60s, was made up of whites and blacks. “If I could vote, I would say he should be welcome,” Lewis says of Cohen. In 1988, the group established an associate membership category to which white Members of Congress could belong. Forty-one of them joined, but the caucus ended the practice in the early 1990s. And the blurring of racial lines might complicate things for race-based organizations. President Barack Obama, for example, was once a CBC member, and his heritage includes a white mother and a Kenyan father. But the CBC sidesteps those kinds of issues by admitting anyone who identifies as an African-American. The organization has always been heavily Democratic, though it’s technically nonpartisan, and only two of six black Republicans elected to Congress have chosen to join.